When deciding on an irrigation system for your garden or farm, you’ll find that you have a vast array of options. Between surface, sprinkler, localized, manual… the list goes on, you may begin to feel a little overwhelmed when making your decision. 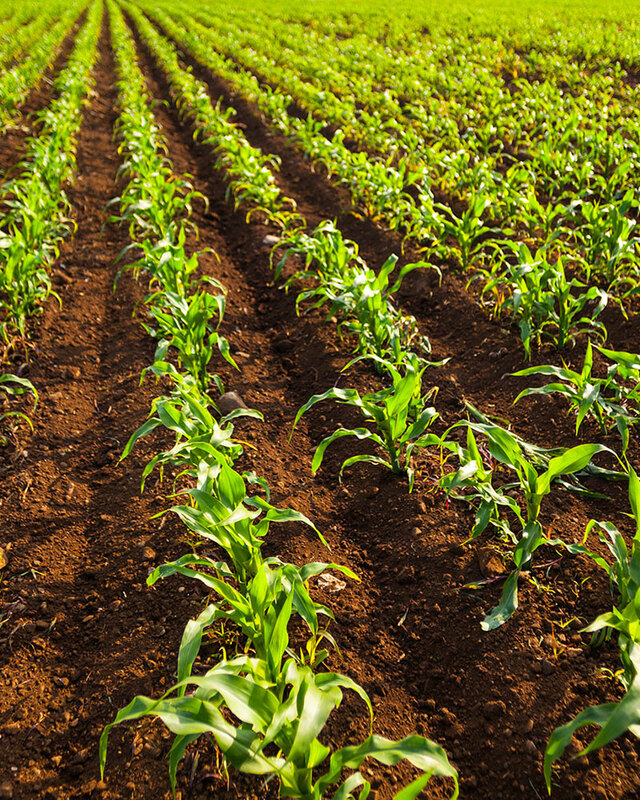 Although the final solution will likely be based on factors such as the specific crops you’re growing, the topography of your land, or the soil type, only one irrigation system has become the go-to standard and reigns supreme above the others. That system is drip irrigation. While being an eco-friendly system, drip irrigation has been been found to be more efficient than other techniques by providing water directly to the root source of the plants minimizing evaporation and causing less water waste, all the while saving owners money over time. Although the technology has significantly advanced, the idea of using less water by releasing it in the ideal place dates back thousands of years. 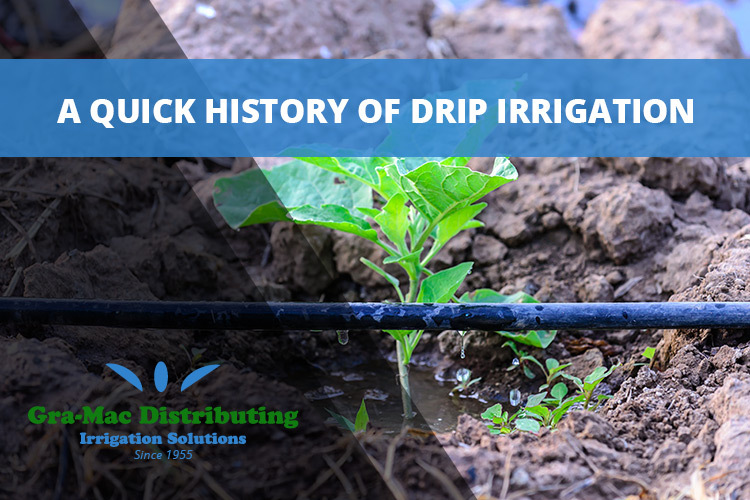 We’re going to take a quick look back on how drip irrigation systems developed into what they have become today. Although there is some debate on where the direct origination of “micro-irrigation” began, the fact remains that primitive versions of the system have been used for thousands of years. The Egyptians used a technique referred to as “flood irrigation” by using a series of canals to direct water from the Nile to their gardens. The Chinese were known to use a more specific version of drip irrigation by burying porous, unglazed clay pots near crops or trees. The water would slowly percolate through the clay walls, forming a pocket of wet soil to let the plant flourish. Many ancient civilizations used some semblance of these techniques but the creation of modern drip irrigation wouldn’t take form for centuries. In 1860, researchers in Germany began experimenting with systems of clay pipes to create both irrigation and drainage systems. This subsurface irrigation technique was attempted in Afghanistan in 1866 to some minor success. In the 1920’s, the research was expanded on, once again in Germany, to include and utilize a system of perforated clay pipes. World War II brought huge technological innovation for plastics molding the material into just about anything from cockpit windows to goggles, and the now ubiquitous product was beginning to be widely used around the globe. Following the war and the developments in plastic, an Australian inventor by the name of Hannis Thill was the first to use plastic pipes with long flow paths to evenly distribute water to crops and plants. While this was huge in the development of modern drip irrigation, the first major step towards what we know today of drip irrigation was taken by a man named Simcha Blass from Israel. While working on the first modern aqueduct in Jordan, Blass was shown a massive tree growing without a visible source of water. After some investigation Blass uncovered a leaky pipe coupler that was providing the tree the water it required to flourish. Blass and his son Yeshayahu then began intensive research to construct a modern water system. With the boom of plastic following the war, they started development on a commercial drip irrigation system that used even longer and larger passageways, preventing the tiny holes used in previous methods from getting blocked by small particles. They also used velocity to create a steady flow inside a newly-created plastic emitter. Blass patented his invention in 1959 and later helped create an irrigation company called Netafim. After trial and error, Netafim was the first to develop the first practical surface drip irrigation emitter. Following the plastic emitter, the first drip tape was developed by a man named Robert Chapin of the United States. And thus began the journey to present day drip irrigation. There is no true inventor of drip irrigation, only a combination of ideas and techniques accrued from thousands of years of trying to find a successful system, and the technologies are still advancing. There are now multitudes of methods including individual emitters, micro-sprayers, emitter tubing, and more. At Gra-Mac Irrigation, one of our specialties is subsurface drip irrigation, which uses buried dripperline or drip tape below the plant roots to get directly to the source. Modern drip irrigation has changed the realm of agriculture and has become paramount in water conservation. Other irrigation systems are certainly successful in the right situation, but there is no doubt that as it has evolved, drip irrigation systems have become the most efficient, popular, and successful irrigation systems used today. Since 1955, Gra-Mac Irrigation has been a full service irrigation equipment supplier focusing on high-quality irrigation equipment and proper system design. No matter what type of irrigation system you want, we’ve got you covered. From chemigation to hose and fittings, pumps and engines to valves, you’ll find what you’re looking for. If you have any questions be sure to call us today, or click here to request a quote.